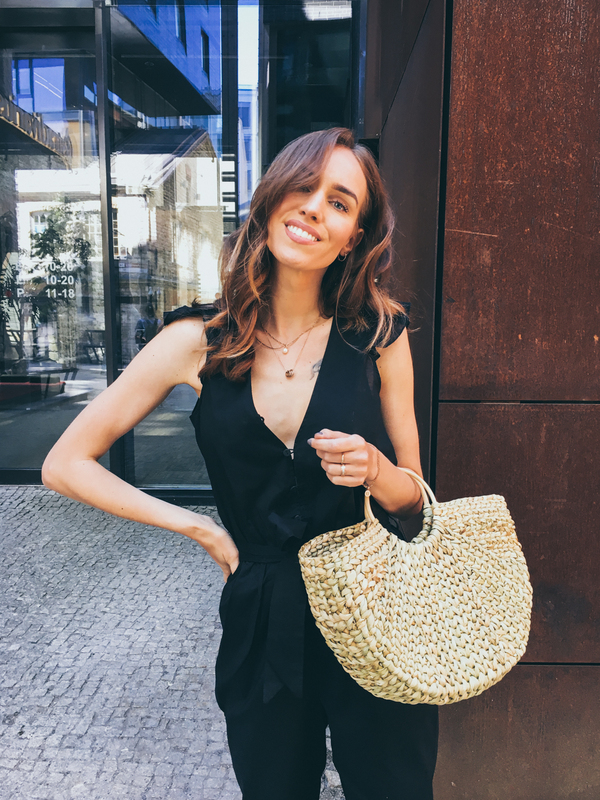 For me, the summer of 2018 is all about jumpsuits and straw bags! I can't seem to get enough of either and keep buying myself more & more of both. I guess you'll be seeing me a lot in this outfit combo the coming months🙈 Funny to think that a few years ago I didn't wear jumpsuits at all cause I thought that they don't suit my body type and now I think their the best thing ever haha! I ordered this cute frill-sleeved v-neck jumpsuit from NA-KD and check my Insta-stories today to see what else I got from this webshop😉 Paired it with flats for a day stroll in the city but I think it would look even better with heels, don't you?! That look is so cute for summer. I love the straw bag. What a fabulous look dear! Love the jumpsuit, and you picked the perfect shoes for it too. The red really pops out of the photo.